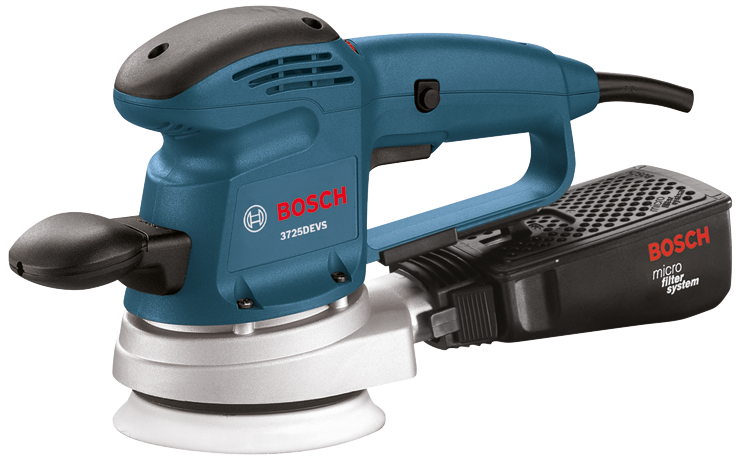 The Bosch 3725DEVS 5 In. Random Orbit Sander/Polisher has an integral pad-dampening braking system to help prevent swirl marks on the finished piece. Any pro who needs to sand – especially woodworkers, cabinet makers and finish carpenters – will find that the sander provides rapid removal and an ultra-smooth finish. 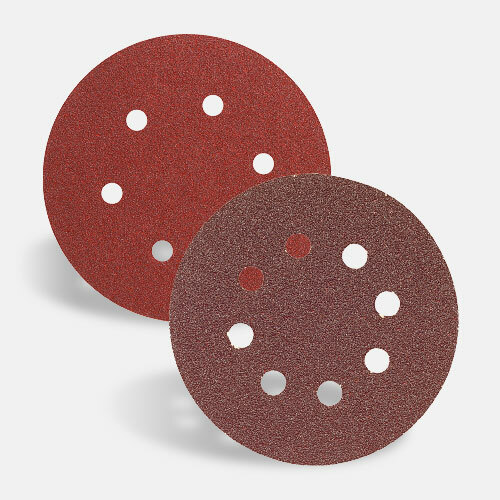 Its microfilter dust system filters fine dust as small as a 1/2 micron in diameter. The tool features a solid die-cast aluminum gear housing with exclusive dual-bearing pad mount, for less vibration. The variable-speed dial allows the user to match the speed of the sander to the workpiece and task, from 4,500 to 12,000 orbits per minute (opm). 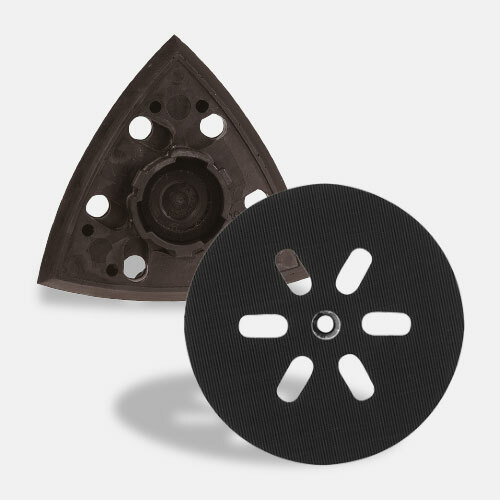 To ensure a strong grip of the disc while in use, it employs a hook-and-loop disc attachment system and accepts eight-hole five In. 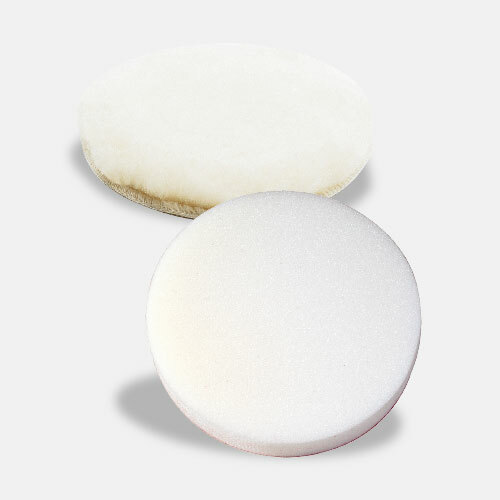 hook-and-loop discs. The sander was designed with an ergonomic soft-grip top and body.